Ever since I met Erik Laffer, a gallery owner and artist, at the Stockade Villager’s Outdoor Artshow in 2013, I wanted to see more of his work. This summer The Laffer Gallery near Saratoga Springs, NY celebrates a two year anniversary, and a couple of weeks ago I finally went to pay it a visit for the first time. I was truly impressed with the gallery space and quality of the exhibited art works. 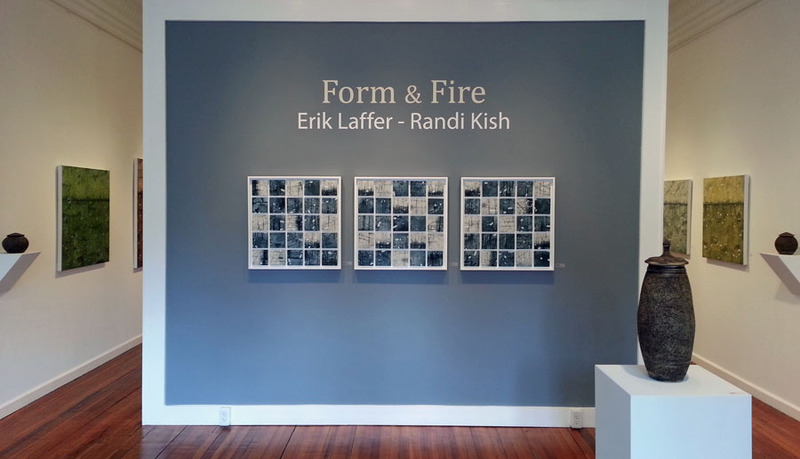 The current exhibition Form & Fire is a beautiful collection of Erik Laffer‘s recent abstract paintings and the intricately hand-carved ceramic vessels by Randi Kish. Form and Fire unites two artists who share a common visual language that is full of intrigue. 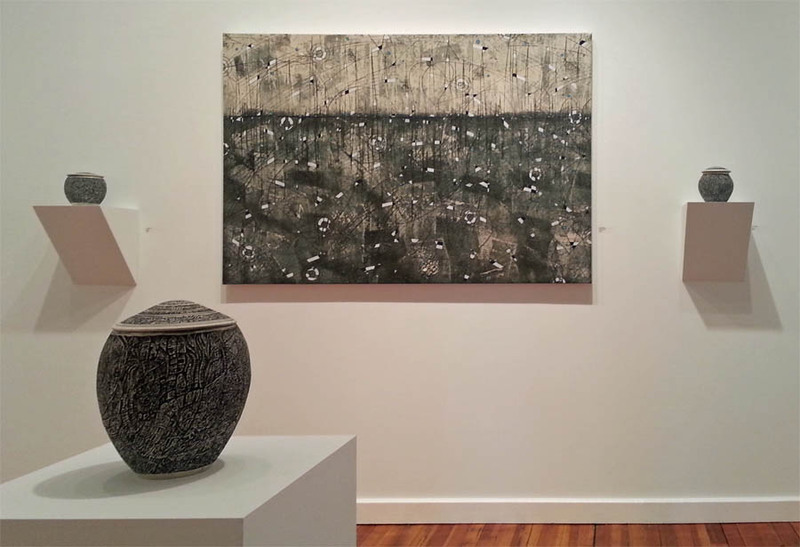 Whether it be through the expressive, abstract paintings created by painter Erik Laffer, where autobiographical symbols and a topographical landscape emerges, or in ceramic artist Randi Kish’s delicately hand-carved vessels that evoke memories and a sense of mystery, there is a strong narrative to be explored. 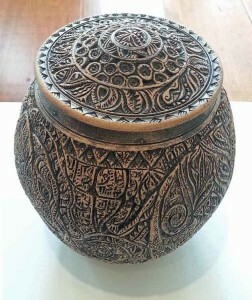 Together, Laffer and Kish place as much emphasis on the creative process itself, in the marks incised in paint or clay, as they do in the story they leave behind, waiting to be discovered, understood and celebrated. A small sample of photographs taken by me and included in this post, shows how the art pieces of these two artists working in different media blend beautifully. 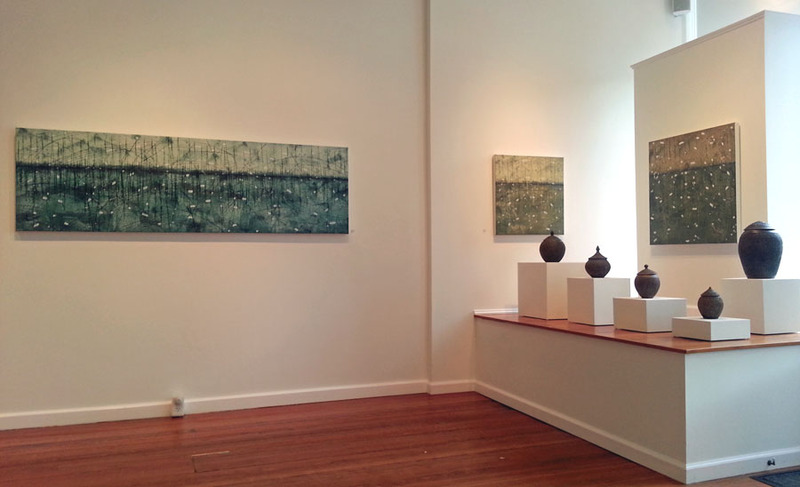 The light and airy gallery space gives a viewer the additional sense of intimacy with mysterious paintings and ceramic vessels. Please note that each picture will enlarge when you click on it. When you attend the exhibition, I hope that you will be as lucky as I was to meet Erik in person. He was very generous with his time and brought my husband and me closer to understanding his art process and inspiration. If you have time, make a quick trip to Saratoga Springs for a perfect ending to an art filled day. Take a stroll through the downtown and, if you need your tea or coffee break, I highly recommend Mrs. London’s Bakery and Café. Over time, my husband and I have tried many of its pastries and sandwiches, and everything was to die for. On the other hand, if you get quite hungry, I vouch for Max London’s Restaurant + Bar‘s cuisine, right next door to the bakery. Anything from its menu, mostly made with locally sourced ingredients, tastes delicious. I don’t have any connection to either of the two eating establishments, but you can tell that I am very partial to the London family’s culinary skills. 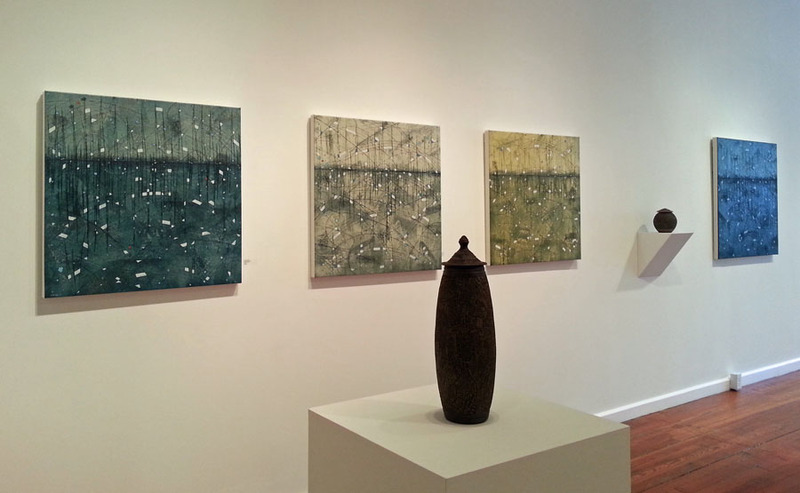 Let me know how you liked The Laffer Gallery! Looks like a lovely gallery with very arresting art work. I’m glad you always end with a place to have something delicious to eat. I wish didn’t live so far away. I will definitely take you there when you come to visit, Lola…both art and food! If we visit LA soon, I will see if we can “veer off” in your direction so that we do similar in gorgeous WA state.